h/t Benny Peiser – the UK MET office has published a study which suggests solar activity is currently plummeting, the fastest rate of decline in 9300 years. The study also raises the odds of Maunder Minimum style conditions by 2050 from 8% to 15 – 20%. 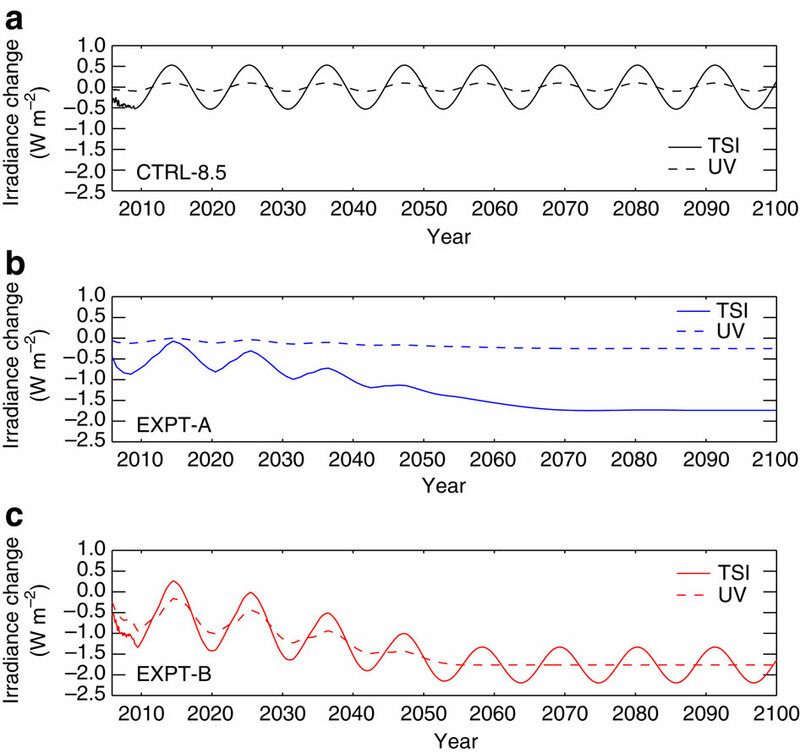 Figure 1: Variations in solar forcing for Total Solar Irradiance (W m−2) and ultraviolet irradiance in the 200–320 nm spectral band (W m−2) relative to the mean of the repeated cycle in CTRL-8.5 for (a) CTRL-8.5 (black), (b) EXPT-A (blue) and (c) EXPT-B (red). The value of this mean is 1,366.2 W m−2 for TSI and 27.4 W m−2 for the ultraviolet band.